With genuine Indonesian hospitality and a myriad of activities under the sun, my team and I look forward to having you as our guest at Banyan Tree Bintan. 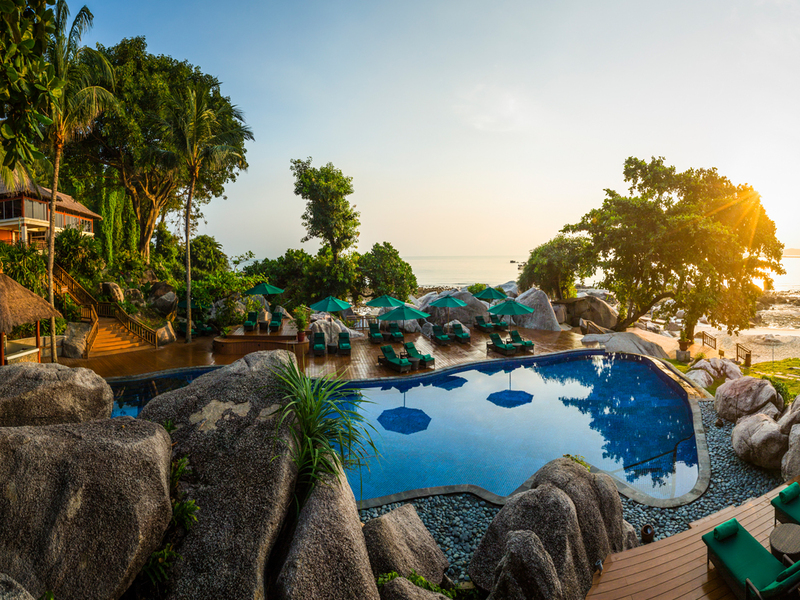 Banyan Tree Bintan delivers views of the South China Sea stretching into the horizon where the tropical sun meets the coastline. Unwind and relax on the resort's private beach in Bintan, tee off on an undulating championship golf course and be pampered at the acclaimed luxury spa in Bintan. Be mesmerised at Bintan's only all-villa establishment of beautifully decorated villas in traditional Balinese style, each raised with stilts and set on hillsides. Enjoy exquisite indoor or outdoor panoramic view of the South China sea while dining on a sophisticated and intriguing blend of mediterranean flavours. A dining showcase of exquisitely balanced authentic Indonesian flavours, Treetops offers you its variation of the famous Indonesian fried rice dish Nasi Goreng and flamingly spicy Sambal chilli. Banyan tree's signature restaurant offers a creative modern Thai cooking style with traditional Thai flavours. Our Thai chef Pimswat Pairote's menu features fresh ingredients sourced directly from local growers. Comfortable and casual poolside reflects a perfectly relaxed lifestyle. Choose from a diverse menu of freshly squeezed juices, light snacks, healthy salads and sandwiches while relaxing under the sun.